In 1991, a group of sixty-six Tibetan nuns appeared on the streets of Dharamsala, India. Fleeing Chinese persecution, the refugees had nowhere to live, nothing to eat, and no support network. 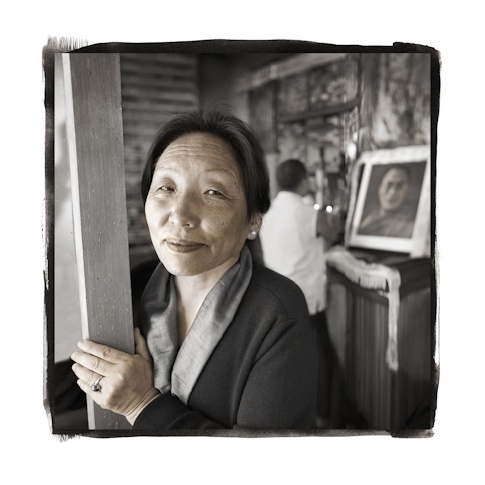 Renchin (age 59), a Tibetan refugee herself, helped the nuns find housing and establish a nunnery. Her efforts grew into the Tibetan Nuns Project, an organization that provides exiled nuns with shelter, health care, and, notably, advanced educational opportunities. By giving the nuns the education necessary to become teachers, Renchin has opened the door to their economic independence.